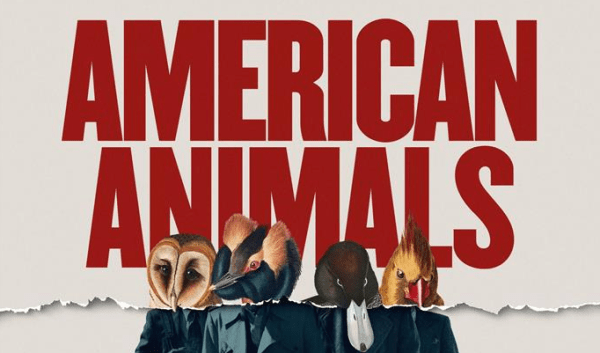 American Animals: Heist for heist's sake – AiPT! American Animals is one of the most unique films of the year. Directed by Bart Layton, 2018’s American Animals recounts a 2004 heist that occurred at the library of the awesomely named Transylvania University in Lexington, Kentucky. The engaging story and strong performances make the film an engrossing watch. Part documentary and part movie, American Animals is one of the most unique films of the year. Layton does not solely use talking heads and instead incorporates the real people involved in the incident into his film. It is a striking technique that helps it rise above being labeled as just another heist movie. The interviews in American Animals are also a great addition. The four men who took part in the heist bare their souls for Layton and provide contradictory memories about how the entire operation happened. These antithetical recollections are presented subtly in some of the film’s best moments. Though there is no way of knowing who is right, these conversations allow the viewer to see what type of people the thieves are. The amount of personality given to the real people is exceptional. Many documentaries will only provide enough insight to let viewers know whether they like a person or not. American Animals explains motivations and paints a more detailed picture. At the end, when a person involved with the robbery comments on why they think the four committed the crime, it is as eye opening as it is logical. (It will also upset many people because of how much sense it makes.) The casting is excellent and each actor fits their role playing perfectly. This is most evident in the casting of Evan Peters as Warren Lipka. Peters is allowed to show his full range and makes the most of it. Peters expertly displays an assortment of emotions over the course of the movie while still remaining likable. The real Lipka is just as charming. From his introduction in which he talks about a silly tattoo, to the closing scenes of the movie when his version of what happens is called into question, Lipka takes command of the screen. He is a delight to watch and Peters and Lipka are almost interchangeable. The entire cast does an excellent job, but Peters is the standout by far. While the style of the movie is creative, it also holds the movie back from being something truly special. The third act of the movie has no interviews and is the best part. The heist is tension filled and is one of those movie moments that is impossible to watch while simultaneously making the viewer want to yell at the screen. It is so well done that the earlier creativity is actually forgotten. Once American Animals goes back into documentary mode, it is hard not to wonder why Layton ever went with this back and forth style to begin with. The lack of true storytelling also leads to plot holes. While three of the four culprits are fleshed out, the fourth is essentially ignored. This leads to the audience never learning why the person who had the least reason for joining became involved. Surprisingly, the aftermath of the heist is poorly explained as the movie limps to its conclusion. American Animals will appeal to fans of documentaries and heist movies. It is creative and includes strong performances from its cast of actors and captivating interviews from the real people involved. It does not always paint a pretty picture, but American Animals is definitely worth seeing. Smartly mixes fact and fiction to tell a true heist story. Strong performances and profound interviews round out the movie.